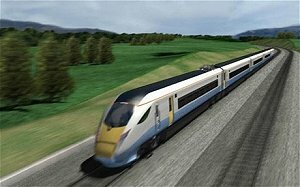 HS2 Ltd has launched a procurement process for £900m worth of enabling works contracts for the high-speed rail network. The works will be divided into three separate packages, each worth £300m, and will cover the north, south and central areas of Phase 1, linking London and Birmingham via a high speed rail line. Enabling works contracts include but are not limited to: planning, surveying design, excavation, clearance, demolition works, disposal, highways construction, car park construction and structural reinforcement. A contract notice was published for ‘EWP12101 Enabling Works’ in the Official Journal of the European Union (OJEU), signifying the commencement of a formal procurement process. The work packages available will last four years initially with the option of an extension for a further two years. Contractors have until 23 April to register their interest via HS2’s e-sourcing portal, Bravo. The opportunities will also be made available on Tenders Electronic Daily (TED) within the next few days.